You’ve decided to create a video for your campaign, department or project and you’re looking for advice on how to make your vision come to life. This section of the Brand Guide was created for the purpose of assisting you in your creative goals. Use the brand guide to plan your creative strategy, this way you’ll have a clear vision of how you can tell your story the U of G way. Create a script for your video project, highlighting key messaging, imagery and locations. Having an organized list of the shots you want to capture – otherwise known as a ‘shot list’ – is a great way to communicate your vision to the video production company. It’s also a great way to stay organized through your project. Lynda.com has training resources should you need tips, pointers and tutorials on script writing, storyboards and project planning. When creating your shot list, you’ll be looking at locations across campus where you will want to film. Keep in mind that some locations will require permission to enter or film. For example at the Ontario Veterinary College (OVC), there are private animals on campus that cannot be filmed. You can reach out to the OVC communications team to find out about best time and place when/if filming near animals. It is also good practice to send an email to the campus police (gmale@police.uoguelph.ca) about any film crew coming to campus, with shoot dates, and locations. 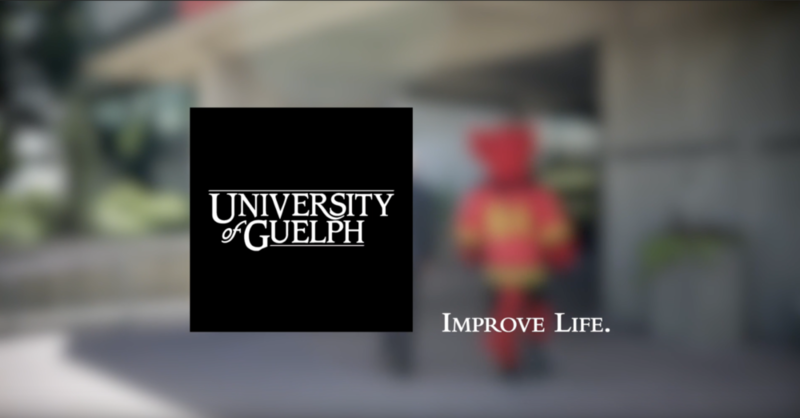 Get creative while telling your U of G story. Look for different angles and different ways you can shoot your project that will create the most captivating story possible. Telling your story on video should be an answer to our key brand message: how do you improve life? A study from the London School of Business found that only 5-10% of information is retained when people hear facts and stats alone, versus 65-70% when stories are used to convey the same information. Onespot has a great infographic on the science of storytelling to help you understand what people want and how they are engaging. Communications and Public Affairs (CPA) has created a b-roll library, should you need some for your project. Please email the CPA team for a link to the library archive. You can also use stock videography companies or b-roll to incorporate another level of storytelling to your project. Make sure you are using the stock footage with correct copyright permission. A form for consent and release of image use of an individual person. A notice for use when filming on campus. For more information on Consent visit the Copyright and Consent section of our brand guide. When filming on campus be aware of these Ontario drone rules. 85% of Facebook videos are watched without sound. As per Accessibility for Ontarians with Disabilities Act (AODA) guidelines, each video you create needs to be captioned. YouTube has captioning capabilities; make sure you double check the transcript for errors when using this service. This is something you will want to mention to the video production company you are working with. The World Wide Web Consortium (W3C) website on Multimedia Accessibility FAQ is a great resource to answer all of your video transcript and captioning questions. On campus you can seek accessibility assistance through the The Digital Accessibility Resource Centre (DARC) which provides multi-media accessibility support to members of the U of G community through a variety of help services. 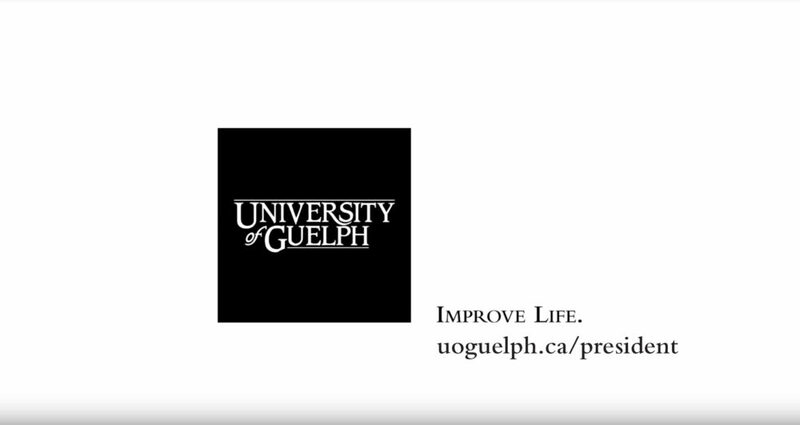 You can visit https://www.uoguelph.ca/accessibility/web/digital-accessibility-help-services for more information about the services they provide. This is the last few seconds of your video project and presents an engaging way for the U of G brand logo to appear accurately. This is the number one choice for presenting our brand in digital format. You are finished your project/film, what now? It’s a great idea to archive your project and acquire any b-roll from your film production company and save and organize in a file structure that is easy to search for future needs. You want to share on social media? Have a look through our social media guide for guidelines on best practices on how to do this. If you would like assistance or consulting on your strategy, reach out to the CPA marketing team. CPA has created a b-roll library for you to access and use for your projects. Please send us an email to acquire the link. If you need assistance with your project, social media or any type of media support please reach out to the CPA marketing team.